Do you feel like your home could use a visual upgrade, but don’t have the time or means to do a complete overhaul? Kitchen refinishing can enhance your interior aesthetic without overwhelming your home improvement budget. Here are three structures that could truly shine with some refinishing attention and transform your kitchen into a gleaming, modern space you’ll look forward to seeing every day. If you have quartz countertops, you’re in luck: this material is currently among the most popular kitchen trends, according to Better Homes & Gardens. While quartz shares the same classic appeal as granite, it can lose its luster over time. With countertop refinishing, you can restore the luxury look of your quartz, even if you’ve had it for decades. The aesthetic power of a kitchen backsplash is often underrated. While it only occupies a small section of the room, your backsplash is the setting that accents your kitchen appliances and cabinetry. On the other hand, dirty grout or dull tiles can detract from your kitchen ambience. To refresh your existing backsplash, look at ceramic tile refinishing, re-glazing, or re-grouting options. A timelessly elegant look for kitchens is all white cabinets. But if your cabinets are structurally sound, purchasing replacements seems wasteful. Consider refinishing instead. While you’re at it, have your appliances refinished to complement your design. 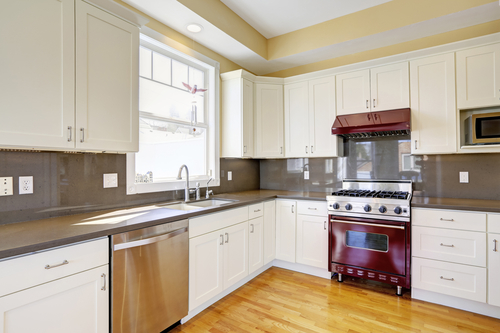 Looking for kitchen refinishing services in the St. Louis, MO area? Contemporary Refinishing can bring your vision to life. Whether you have one area you would like to focus on or you want to completely revamp your kitchen, their team has the skills and experience needed to execute projects of all scopes and sizes. Call (314) 520-0857 or visit them online for more information about their services. Granite Vs. Quartz: Which Is Right for Your Countertops?